Amsterdam – Adults suffering from the liver disease of unknown cause represent an understudied and underserved patient population. 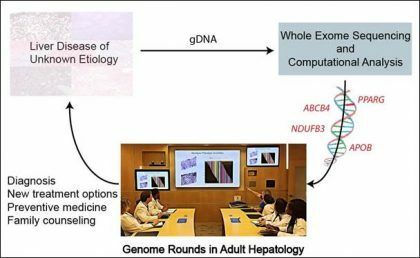 A new study reported in the Journal of Hepatology supports the incorporation of whole-exome sequencing (WES) in the diagnosis and management of adults suffering from unexplained liver disease and underscores its value in developing an understanding of which liver phenotypes of unknown cause in adults are genetic. 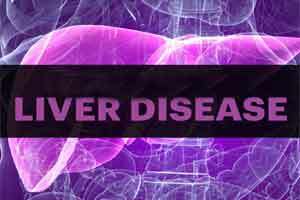 Chronic liver disease is a significant health problem affecting more than four million people in the United States and leading to over 40,000 deaths annually. It often remains undiagnosed for many years unless there is awareness of subtle clinical signs, behavioural risk factors, and/or investigation of abnormal liver function tests. In many patients, by the time overt manifestations of chronic liver disease emerge, liver injury has already advanced resulting in portal hypertension or hepatic decompensation.